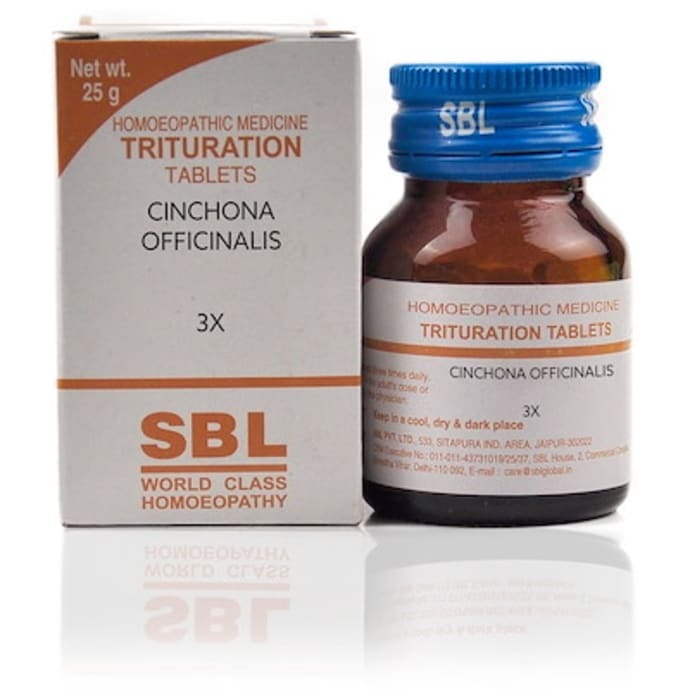 SBL Cinchona Officinalis Trituration Tablet is a multipurpose homeopathic remedy which is used to treat a number of health complications. It is effective in the treatment of weakness and exhaustion caused due to loss of vital fluids and exhaustive discharges. Cinchona has anti-inflammatory properties and it is used in treatment of inflammation of kidneys and is highly useful in relieving pains associated with rheumatism and arthritis. Stomach disorders is also effectively treated with the use of Cinchona. 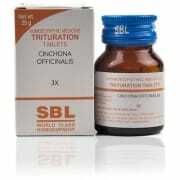 A licensed pharmacy from your nearest location will deliver SBL Cinchona Officinalis Trituration Tablet 3X. Once the pharmacy accepts your order, the details of the pharmacy will be shared with you. Acceptance of your order is based on the validity of your prescription and the availability of this medicine.